Google has announced it is rebranding its smartwatch operating system from Android Wear to Wear OS, a change to reflect the increasing parity of experience for Android and iPhone users. Google says that in 2017, one in three Android Wear watches were paired to iPhones (update: the company confirmed that's total activations through the year), and while improvements in Wear 2.0 made it better for iPhone users, Google felt like the name wasn't reflecting that. The rebrand comes with a new name - Wear OS by Google - and logo, which will be rolling out to Android Wear watches via an over-the-air update over the coming weeks. While that might not sound a big deal for existing Wear users, the new name should help Google and its partners better market their smartwatches to iOS users. 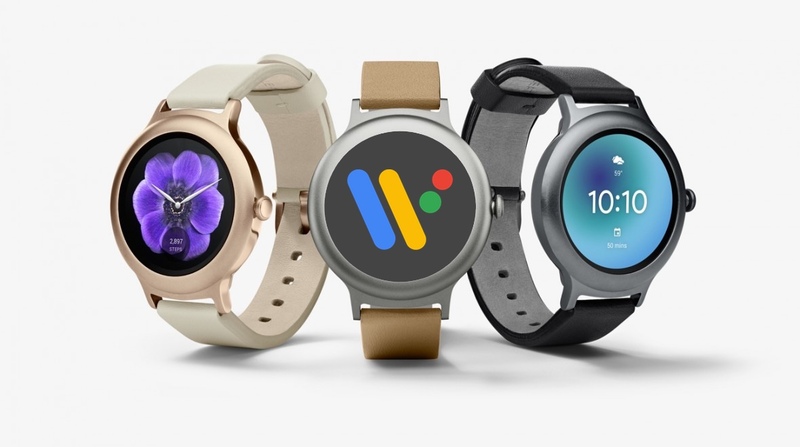 "[In changing the name] we are confident that the recent rebrand of Google's OS as Wear OS by Google, will greatly accelerate adoption of our touchscreen smartwatches," said Greg McKelvey, Fossil Group's chief strategy and digital officer. Over the holiday season, Google says there was a 60% year-over-year growth in watch activations. So is this Android Wear 3.0 by a different name? Sadly not, but Troper said that new features are incoming soon. One of these will finally allow iPhone users to see their Google Fit history via a new companion app, which will launch to iOS "in the next few weeks". Google's also bringing Android Pay to Canada, Australia and Spain, and promises further improvements in both the way notifications work on Android Wear, and in health, an area it's being outpaced by rivals like Apple and Fitbit. "There is a lot more that is going to happen in 2018 with health and fitness that we'll be announcing in the upcoming months," said Troper, who added that we can expect more incremental updates over time, rather than holding out for big update releases. "There's a great lineup of watches that we're planning with them for 2018 that'll be shipping with this new brand." You can read more at Google's new Wear OS site, which is now live. Expect to hear a lot more about what's in store for Wear OS at Google I/O in June. Troper gave us a sneak peek at some more of what's coming down the line, which you can read about here.